Keep in mind that Drew is also tangoing his heart out on “Dancing With the Stars” while he and Jonathan tackle Drew’s honeymoon home in Los Angeles with fiancée Linda Phan for yet another series slated to premiere next month. Phew! It’s exhausting just trying to keep up with them. But as Season 11’s first episode, “Building a Solid Foundation,” makes all too clear, the brothers are desperately needed by Tom and T.J., who have recently moved to Nashville, TN, and are living in a cramped studio apartment with their two dogs, Dudley and Luna. How small is the apartment? The toilet is in the kitchen, and there’s only one sink. So while T.J. is shaving and Tom is making breakfast, they accidentally get shaving cream in their coffee. 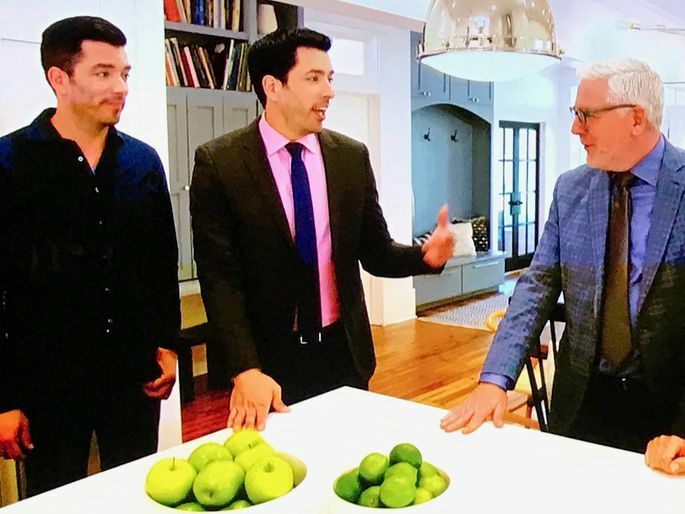 This house hunt is made all the more challenging by the couple’s wildly different tastes: Tom likes modern minimalism while T.J. prefers vintage with character. 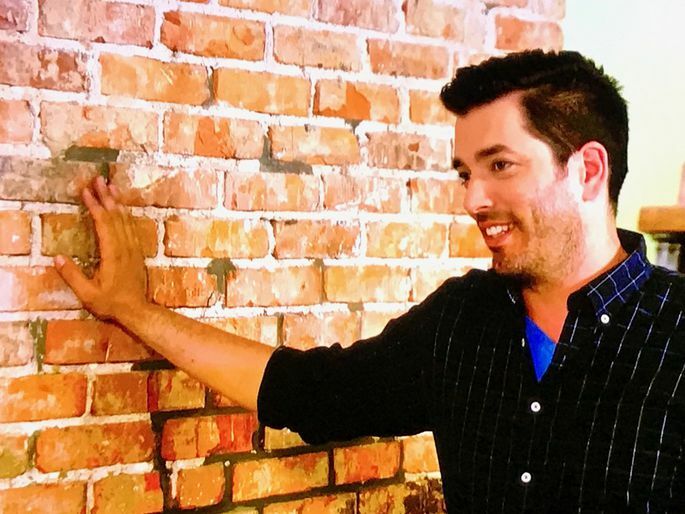 How will Jonathan and Drew manage to meld these two aesthetic preferences in one home? Somehow they pull it off—and in the process, we learn some smart lessons about how to find, buy, and renovate the right home for you andyour significant other. The first home Drew shows the couple is an absolute dream. But it’s also more than a half-million above their budget of $760,000. Why does he do this? So the couple can get an idea of what’s important to them and what’s not—and a better idea of their own tastes and the things they agree on. T.J. needs to go out of town for work, leaving Tom to house hunt solo. Drew finds a home for them with lots of potential, but the couple get stuck in front of the used-brick fireplace. Tom wants to paint it bright white, and T.J. wants to leave it as is but clean it up. 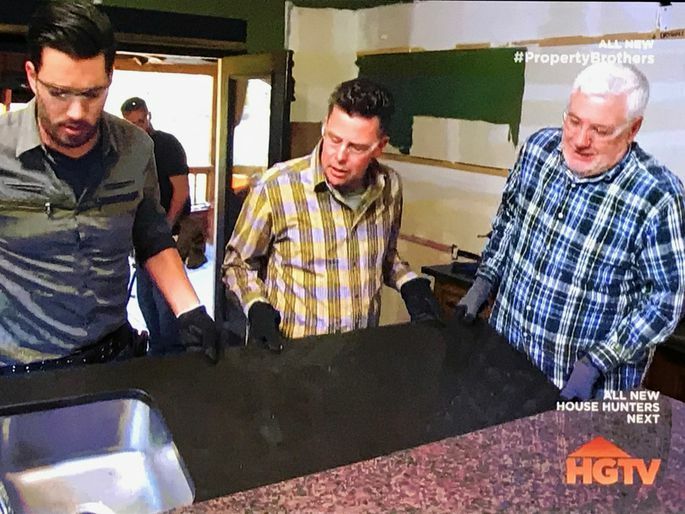 After much back-and-forth, Jonathan tells them they can decide that later if they decide to buy the house, but in the meantime, wouldn’t they like to see the kitchen and bedrooms already? At long last, Tom and T.J. pick a quaint, hundred-year-old, Craftsman-style bungalow with a used-brick fireplace. 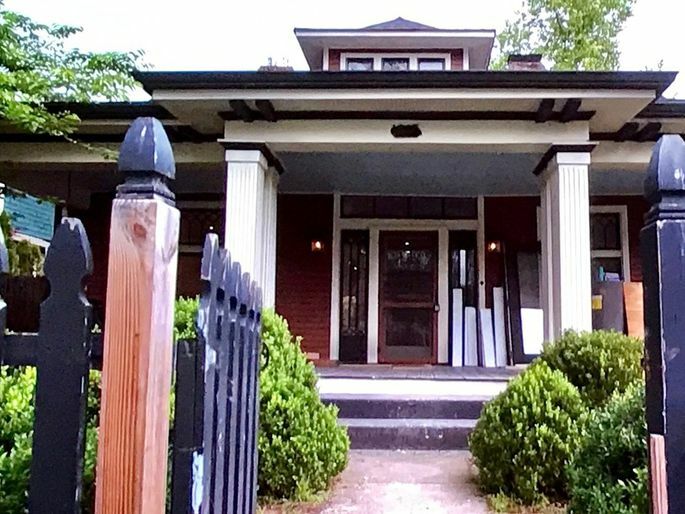 The owner accepts their offer of $530,000, and Jonathan estimates the renovations it needs will tack on $230,000, putting them at the top of their budget. Alas, unexpected expenses arise when Jonathan crawls under the house and discovers the reason the floor is sagging: The footings in the foundation are not substantial enough to hold up the house. It’s going to cost them an extra $2,900 to pour cement under the house and add five new footings. The couple realize you can’t skimp on the foundation, and they have no choice but to make this fix! The living room has a coffered ceiling, and while it’s attractive, it has also lowered the ceiling substantially. But Jonathan says the right paint can solve all. “I’m painting the ceiling white to make it seem higher,” he says. And sure enough, it works like a charm. White paint also comes in handy when he removes several walls to open up the home and adds a giant support beam near the ceiling. When T.J. and Tom see the beam in its raw-wood glory, they’re horrified, thinking that it’s going to dominate the entire house. Jonathan explains that once it’s painted white, they’ll hardly notice it. And they don’t! 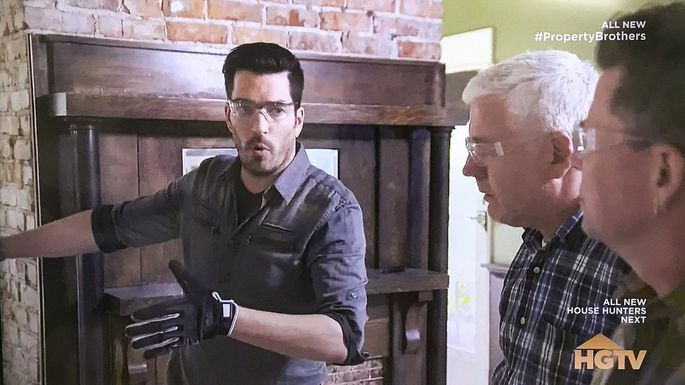 So in the end, are the Scott brothers able to satisfy both Tom and T.J. with the home of their dreams? Oh yeah—in a very big way. “It is a little slice of heaven,” T.J. agrees. Heaven means moving into their new home right away and starting to drink their morning coffee with real cream. Enjoy!